Beware of “blow-and-go” air duct cleaning companies. Blow and go companies often charge a small amount and do a poor job of cleaning the heating and cooling system. Air duct cleaning that is not properly performed will make the dust in the home worse. A typical duct cleaning job will take 4-6 hours if done properly. The Environmental Protection Agency says that duct cleaning services typically – but not always – range in cost from $450 to $1000 per heating and cooling system, depending on the services offered, the size of the system to be cleaned, system accessibility, level of contamination and type of duct material. 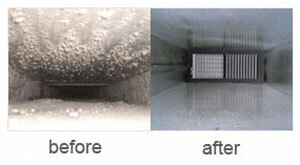 ServiceMaster DAK is the air duct cleaning company servicing Glenview, IL 60025 Chicago Northshore area. 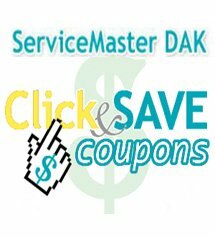 ServiceMaster DAK cares about your indoor environment.